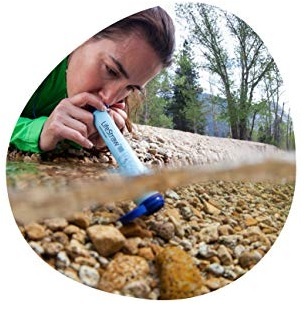 LifeStraw is a valid alternative to NDūR Survival Straw. While it is does not filter out and purify as good as an NDūR Survival Straw it still works plenty well enough to use during emergencies, disasters, and grid- down when safe drinking water is needed. The microfiltration membrane removes 99.999999% of waterborne bacteria (including E. coli and salmonella), and 99.999% of waterborne parasites. Removes the smallest micro plastics found in the environment (down to 1 micron), and reduces turbidity down to 0.2 microns. Meets laboratory standard testing protocols set by the US EPA, NSF, ASTM for water purifiers. LifeStraw Personal Water Filter will provide 1,000 gallons of clean and safe drinking water with proper use and maintenance.